DRM was removed with 1.51 update. 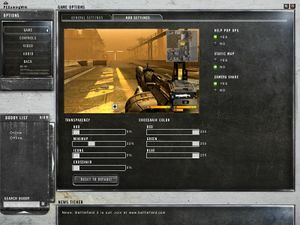 Online server browser has stopped working due to GameSpy and Revive services being shut down. See Online play for workaround. 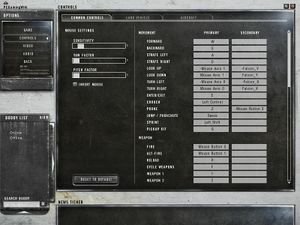 TweakGuides Battlefield 2142 Tweak Guide. SafeDisc v4 DRM[Note 1] (removed in 1.51 update). 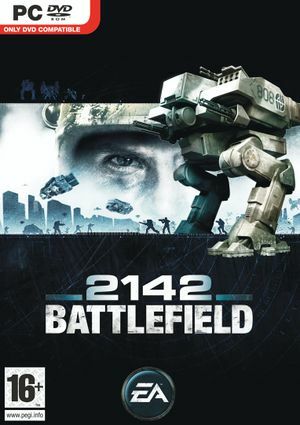 Included with Battlefield 2142 Deluxe Edition. Latest version is 1.51. To install this patch, you'll need to be already on version 1.50. The lack of the EA Master Account login leaves the game in an unplayable state for a fresh install, due to being unable to create an offline account. 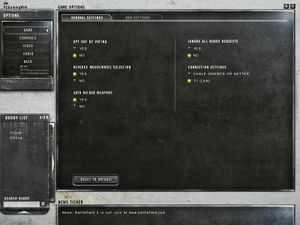 Installs created before the shutdown remain unaffected although the game will only go to an offline account login when it finds no internet connection (LAN or other connection has to be completely turned off in the OS). For a fresh install use this fix which creates a generic profile which will allow offline account login. Use +widescreen 1 command line argument. Use +fullscreen 0 command line argument. 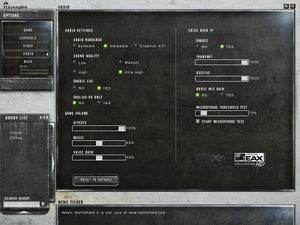 In game MSAA 8x option is broken. Use 4x instead. Type game.lockfps 0 in the console. Dedicated server software available for Windows and Linux. 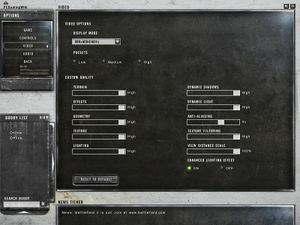 Go to Multiplayer, Advanced, Connect to IP. This page was last edited on 27 September 2018, at 11:56.